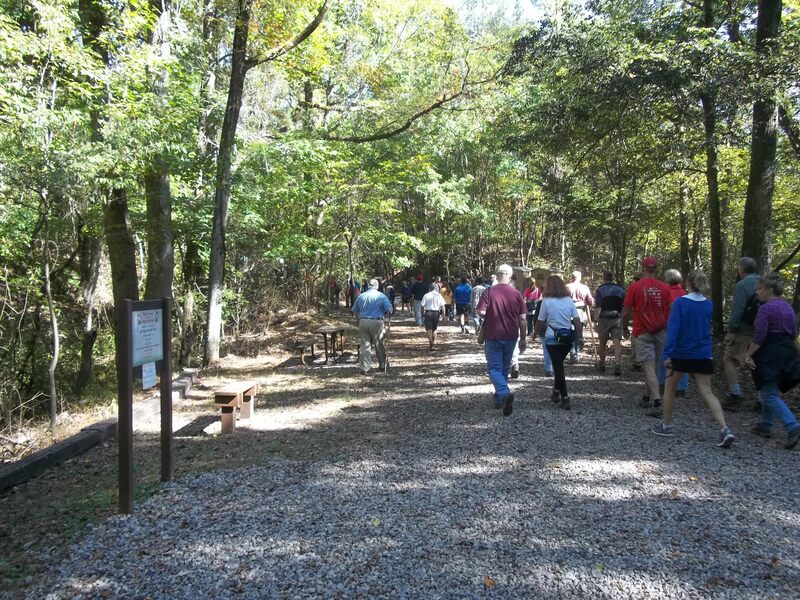 Celebrate American Hiking Society’s National Trails Day® on June 7 at Red Mountain Park! Enjoy a two-mile hike starting at 9am along Red Mountain’s most popular trail, the Ridge walk. Southeastern Outings will lead a moderately easy four-mile hike on the Brookside Walking Trail Saturday, June 1st. Hikers will depart at 1 pm from the Kmart on Green Springs or can meet at 1:45 pm at the trail head in Brookside. The Birmingham Adventure Group will lead a 3 to 4 mile walk at the Birmingham Botanical Gardens on Tuesday, June 3rd at 6 pm. Southeastern Outings will lead a moderately strenuous hike and creek wade in the Bankhead Forest on Saturday, June 28th. Participants on this hike will be expected to be able and willing to walk at least 4 ½ miles off trail over rugged terrain including wading 3 miles in two creeks, portions of which may sometimes be knee deep, wear hiking boots and long pants to hike through the woods to and from the creek, and bring and wear old shorts or swim suit and wading shoes for the creek wade. Sturdy foot protection you don’t mind getting wet and dirty is required to wade in the creeks. Hikers will depart at 8:30 am from the Hayden/Corner Park and Ride or at 9 am from the 300 Mile Rest Area on I-65 just south of Cullman. Moss Rock Preserve: Moss Rock Preserve in Hoover is a beautiful 350-acre nature preserve with nearly 12 miles of hiking trails and abundant with trees and plants, rock outcroppings, streams, waterfalls, wildlife, and other unique natural features. Entry is FREE! Oak Mountain Park: this park in Pelham has over 50 miles of hiking, biking and equestrian trails set in a picturesque 9,940-acre park. Entry fee is $3/day for adults and $1/day for children and seniors. Ruffner Mountain Nature Preserve: Just 10 minutes from downtown Birmingham, this 1,011 acre natural oasis Miles of peaceful forested trails with surprising biodiversity, wetlands teaming with wildlife, remnants of our past mining history, and spectacular views from several overlooks. There is a suggested donation of $2 per person.